As a young artist I enjoyed portraiture purely for the challenge of attempting to capture the subject’s personality, with that subtle glimmer in their eyes. Thinking back now, it also helped to significantly improve my technical skill and depth perception. 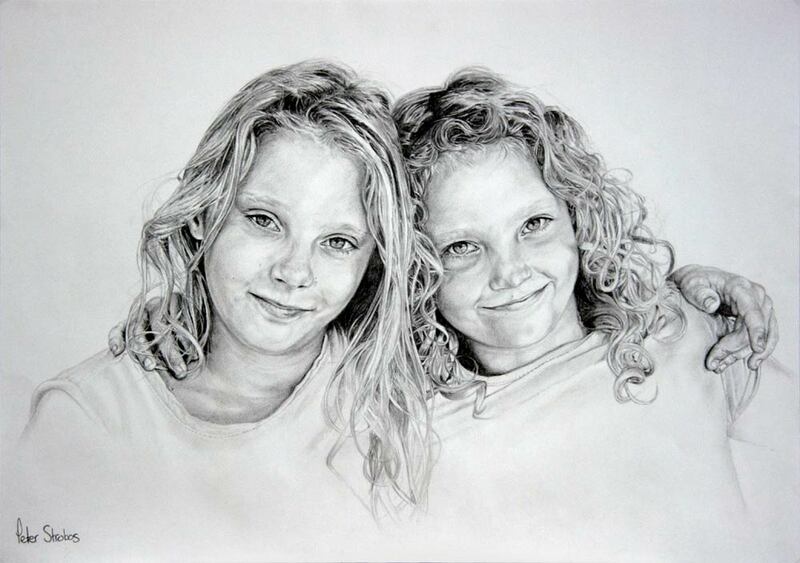 Through the years I was given the opportunity to do many portraits in either graphite, pastels or oil. 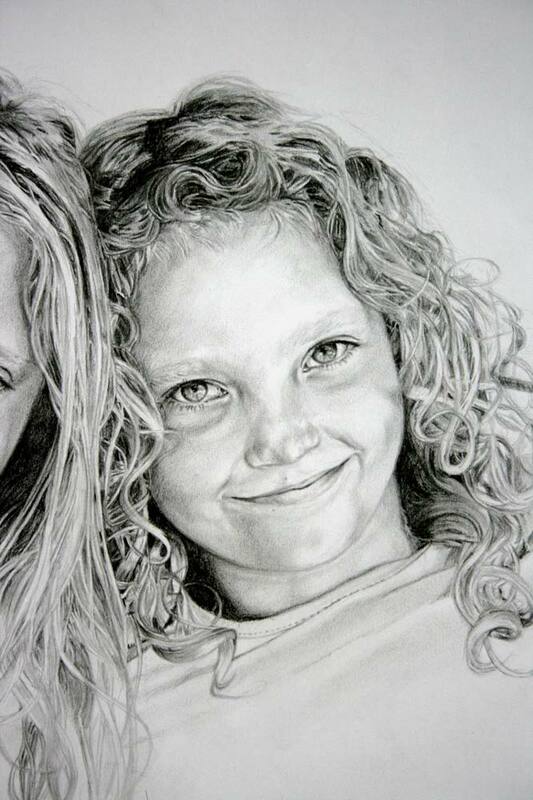 These included individual portraits, children’s portraits, family portraits and even some pet portraits. 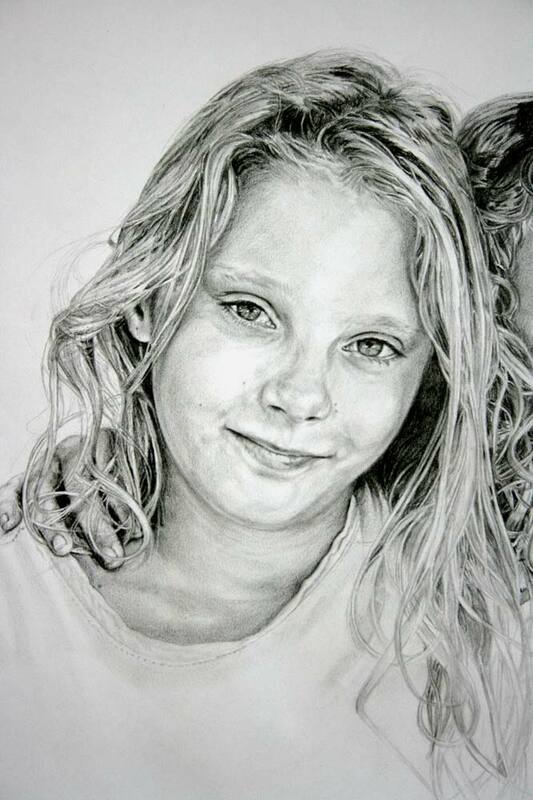 My earliest portrait drawings were done in graphite on paper. 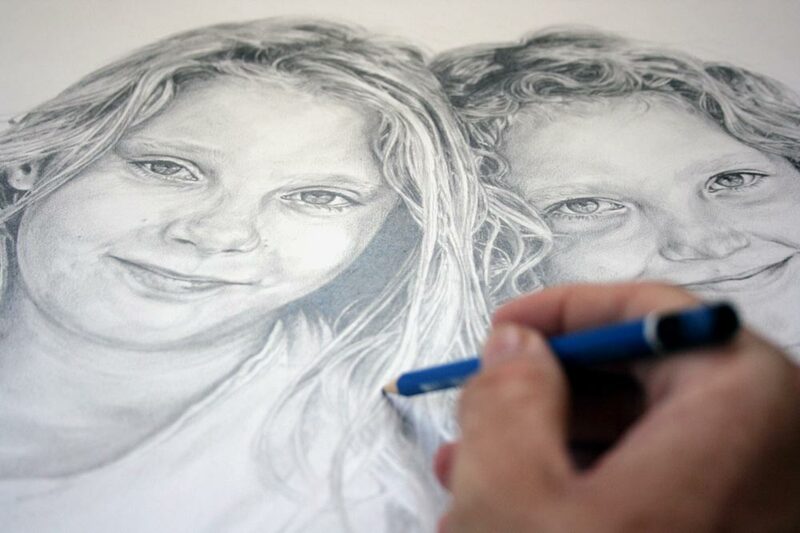 Graphite pencil quickly became one of my favourite mediums. I find that graphite lends a uniqueness to portrait drawing. A few months back I needed to recharge, it was time for me draw again. 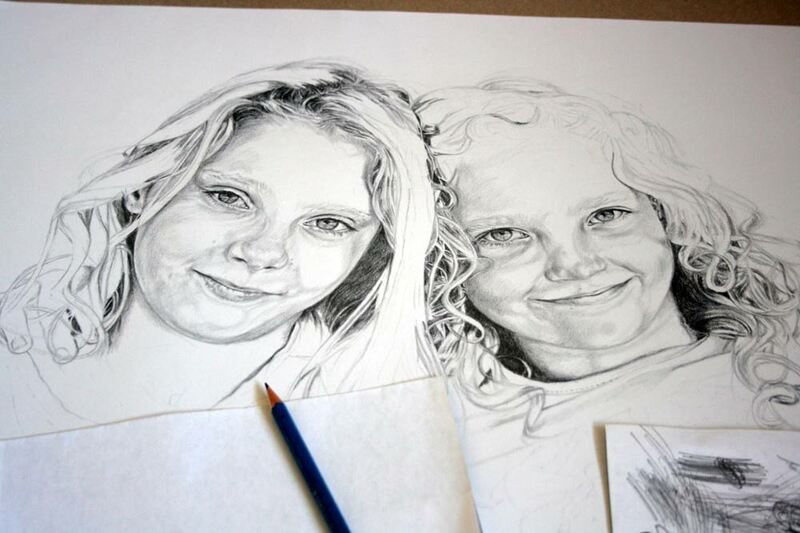 I went back to my roots with a portrait in graphite of two special little people that I know. I am really glad that I did! 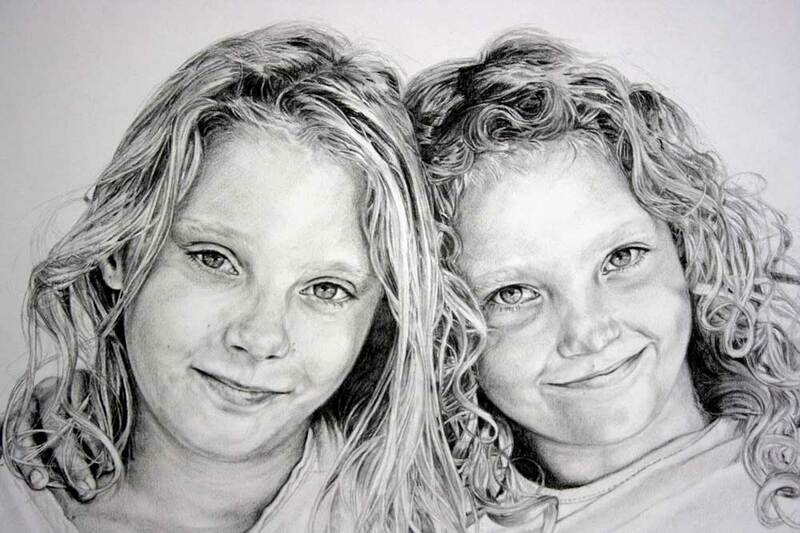 Sisters, graphite on paper, 16½ x 23⅝ in. (42 x 60 cm).